Alexander Schottmann was attending his first SDLP congress and compared the impact that Lenin and Martov had on him: "Martov resembled a poor Russian intellectual. His face was pale, he had sunken cheeks; his scant beard was untidy. His glasses barely remained on his nose. His suit hung on him as on a clothes hanger. Manuscripts and pamphlets protruded from all his pockets. He was stooped, one of his shoulders was higher than the other. He had a stutter. His outward appearance was far from attractive. But as soon as he began a fervent speech all these outer faults seemed to vanish, and what remained was his colossal knowledge, his sharp mind, and his fanatical devotion to the cause of the working-class." As Lenin and Plekhanov won most of the votes, their group became known as the Bolsheviks (after bolshinstvo, the Russian word for majority), whereas Martov's group were dubbed Mensheviks (after menshinstvo, meaning minority). Those who became Bolsheviks included Gregory Zinoviev, Anatoli Lunacharsky, Joseph Stalin, Mikhail Lashevich, Nadezhda Krupskaya, Mikhail Frunze, Alexei Rykov, Yakov Sverdlov, Lev Kamenev, Maxim Litvinov, Vladimir Antonov, Felix Dzerzhinsky, Vyacheslav Menzhinsky, Kliment Voroshilov, Vatslav Vorovsky, Yan Berzin and Gregory Ordzhonikidze. 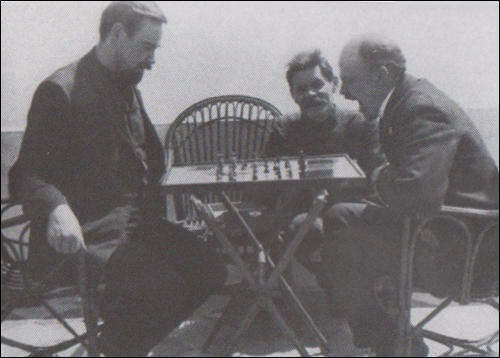 Lenin playing chess with Alexander Bogdanov in 1908. Maxim Gorky is seated between them. Lenin argued that "the slogan of peace is wrong - the slogan must be, turn the imperialist war into civil war." 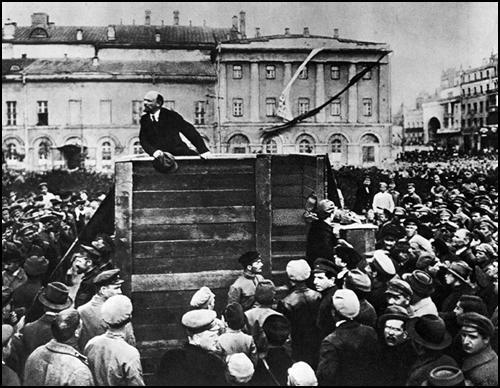 Lenin believed that a civil war in Russia would bring down the old order and enable the Bolsheviks to gain power. This brought him into conflict with Rosa Luxemburg. In 1915 Luxemburg published the highly influential pamphlet, The Crisis in the German Social Democracy. Luxemburg rejected the view of Lenin that the war would bring democracy to Russia: "It is true that socialism gives to every people the right of independence and the freedom of independent control of its own destinies. But it is a veritable perversion of socialism to regard present-day capitalist society as the expression of this self-determination of nations. Where is there a nation in which the people have had the right to determine the form and conditions of their national, political and social existence?" In the pamphlet Rosa Luxemburg quoted Friedrich Engels as saying: “Bourgeois society stands at the crossroads, either transition to socialism or regression into barbarism.” She added: "A look around us at this moment shows what the regression of bourgeois society into barbarism means. This world war is a regression into barbarism.... The world war today is demonstrably not only murder on a grand scale; it is also suicide of the working classes of Europe. The soldiers of socialism, the proletarians of England, France, Germany, Russia, and Belgium have for months been killing one another at the behest of capital. They are driving the cold steel of murder into each other’s hearts. Locked in the embrace of death, they tumble into a common grave." The First World War had a disastrous impact on the Russian economy. Food was in short supply and this led to rising prices. By January 1917 the price of commodities in Petrograd had increased six-fold. 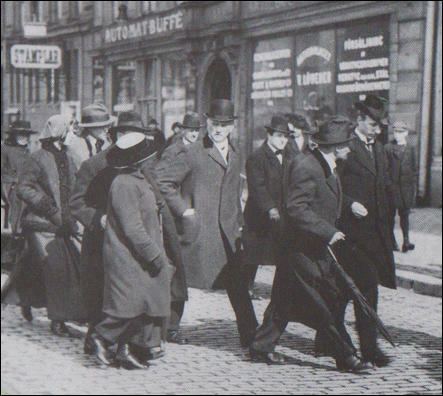 In an attempt to increase their wages, industrial workers went on strike and in Petrograd people took to the street demanding food. On 11th February, 1917, a large crowd marched through the streets of Petrograd breaking shop windows and shouting anti-war slogans. photograph is Inessa Armand (in the fur-trimmed jacket) and Nadezhda Krupskaya (in large hat). Lenin speaking to a crowd in Petrograd in 1917. Alexander Kerensky became the new prime minister and soon after taking office, he announced another new offensive. Soldiers on the Eastern Front were dismayed at the news and regiments began to refuse to move to the front line. There was a rapid increase in the number of men deserting and by the autumn of 1917 an estimated 2 million men had unofficially left the army. Some of these soldiers returned to their homes and used their weapons to seize land from the nobility. Manor houses were burnt down and in some cases wealthy landowners were murdered. Kerensky and the Provisional Government issued warnings but were powerless to stop the redistribution of land in the countryside. Kerensky now became the new Supreme Commander of the Russian Army. His continued support for the war effort made him unpopular in Russia and on 8th October, Kerensky attempted to recover his left-wing support by forming a new coalition that included three Mensheviks and two Socialist Revolutionaries. However, with the Bolsheviks controlling the Soviets, and now able to call on a large armed militia, Kerensky was unable to reassert his authority. 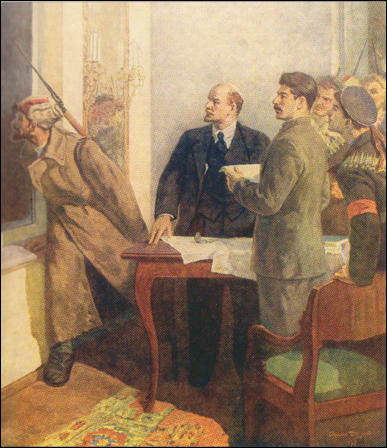 Lenin insisted that the Bolsheviks should take action before the elections for the Constituent Assembly. "The international situation is such that we must make a start. The indifference of the masses may be explained by the fact that they are tired of words and resolutions. The majority is with us now. Politically things are quite ripe for the change of power. The agrarian disorders point to the same thing. It is clear that heroic measures will be necessary to stop this movement, if it can be stopped at all. The political situation therefore makes our plan timely. We must now begin thinking of the technical side of the undertaking. That is the main thing now. But most of us, like the Mensheviks and the Socialist Revolutionaries, are still inclined to regard the systematic preparation for an armed uprising as a sin. To wait for the Constituent Assembly, which will surely be against us, is nonsensical because that will only make our task more difficult." Lenin thought the details of an uprising would be simple. "We can launch a sudden attack from three points, from Petrograd, from Moscow, from the Baltic Fleet... We have thousands of armed workers and soldiers in Petrograd who can seize at once the Winter Palace, the General Staff building, the telephone exchange and all the largest printing establishments... The troops will not advance against the government of peace... Kerensky will be compelled to surrender." When it was clear that the Bolshevik Central Committee did not accept Lenin's point of view he issued a political ultimatum: "I am compelled to tender my resignation from the Central Committee, which I hereby do, leaving myself the freedom of propaganda in the lower ranks of the party and at the party congress." The Bolsheviks set up their headquarters in the Smolny Institute. The former girls' convent school also housed the Petrograd Soviet. Under pressure from the nobility and industrialists, Alexander Kerensky was persuaded to take decisive action. On 22nd October he ordered the arrest of the Bolshevik Military Revolutionary Committee. The next day he closed down the Bolshevik newspapers and cut off the telephones to the Smolny Institute. After Nicholas II abdicated, the new Provisional Government announced it would introduce a Constituent Assembly. Elections were due to take place in November. Some leading Bolsheviks believed that the election should be postponed as the Socialist Revolutionaries might well become the largest force in the assembly. When it seemed that the election was to be cancelled, five members of the Bolshevik Central Committee, Victor Nogin, Lev Kamenev, Gregory Zinoviev, Alexei Rykov and Vladimir Milyutin submitted their resignations. Despite the prevailing disorders and confusion, thirty-six million cast their secret ballots in parts of the country normal enough to hold elections. In most of the large centers of population, the voting was conducted under Bolshevik auspices. Yet twenty-seven of the thirty-six million votes went to other parties. A total of 703 candidates were elected to the Constituent Assembly in November, 1917. This included Socialist Revolutionaries (299), Bolsheviks (168), Mensheviks (18) and Constitutional Democratic Party (17). When the Assembly refused to support the programme of the new Soviet Government, the Bolsheviks walked out in protest. 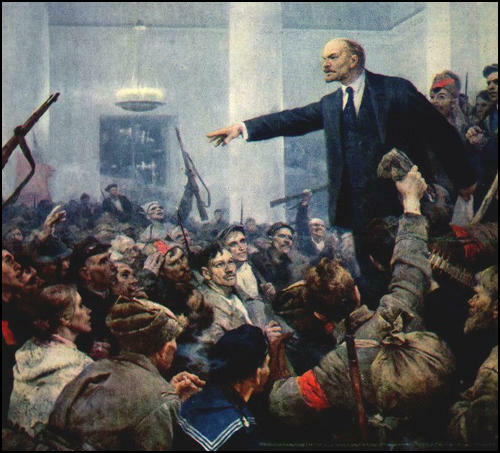 The following day, Lenin announced that the Constituent Assembly had been dissolved. "In all Parliaments there are two elements: exploiters and exploited; the former always manage to maintain class privileges by manoeuvres and compromise. Therefore the Constituent Assembly represents a stage of class coalition. Rosa Luxemburg agreed with Gorky about the closing down of the Constituent Assembly. In her book, Russian Revolution, written in 1918 but not published until 1922, she wrote: "We have always exposed the bitter kernel of social inequality and lack of freedom under the sweet shell of formal equality and freedom - not in order to reject the latter, but to spur the working-class not to be satisfied with the shell, but rather to conquer political power and fill it with a new social content. It is the historic task of the proletariat, once it has attained power, to create socialist democracy in place of bourgeois democracy, not to do away with democracy altogether." At the Seventh Party Congress held in March, 1918, Lenin proposed that the party should change its name from the Russian Social Democratic Workers' Party to the Communist Party. He argued that the new name would indicate the am of the Bolsheviks would be to achieve Communism as outlined by Karl Marx and Frederick Engels in their book, The Communist Manifesto. An organization of workers must be first a trade organization; secondly, it must be as broad as possible; thirdly, it must be as little secret as possible. An organization of revolutionaries, on the contrary, must embrace primarily and chiefly people whose profession consists of revolutionary activity. In an autocratic country, the more we narrow the membership of such an organization, restricting it only to those who are professionally engaged in revolutionary activities and have received a professional training in the art of struggle against the political police, the more difficult will it be to catch such an organization. To build that 'strongly organized party' was Lenin's main objective. Although sufficiently concerned with every comma that appeared in Iskra to do the proof-reading himself, he allowed Martov, Potresov and Zasulich to do much of the editing, while he followed closely the workings of the Iskra machinery inside Russia. There the fight against the Economists and other revisionist groups was carried by Iskra supporters into the underground Social Democratic committees and workers' organizations. Iskra also conducted a strong campaign against the use of individual terrorism as a political weapon. Discussions on this subject raged for weeks on end. It was not easy to convince men bred in the tradition of the People's Will to abandon political assassination in the fight against Tsarism. To combat all forms of heresy Iskra agents in Russia started an intensive campaign of propaganda and agitation among workers and students. Lenin drew this distinction between propaganda and agitation... To carry their message home, Iskra agents distributed leaflets and newspapers at every opportunity. They addressed special leaflets to the intellectuals, to workers in various industries, dealing with their specific problems. Often the Social Democratic committees took the lead in organizing strikes. (There were no legal trade unions at the time.) More intensive propaganda was conducted in small clandestine groups called 'circles'. But systematic work was impossible. It was difficult to find safe quarters, arrests were frequent, propagandizing was a dangerous business. Moreover, educated propagandists were hard to find; when one was arrested his circle usually disintegrated because there was no one to take his place. Although the curriculum of the propaganda circles called for between six and ten lectures, the course was seldom completed. In many cases the lecture consisted of reading lskra to the members. Each issue gave the propagandists material for discussion, for winning new adherents. Workers to whom the propagandist read several copies often became sufficiently interested to read the paper to their comrades. Thus Iskra passed from hand to hand, until the newsprint was so worn it could barely be read. Most of the early Iskra propagandists were university and high-school students. These young men and girls were full of enthusiasm and revolutionary romanticism, but they were short on practical experience. Satisfying the curiosity of mature, albeit poorly schooled workers was a difficult assignment for the young zealots. Often they had little actual knowledge of the conditions under which the workers who made up their audience lived, and frequently their answers to questions of economics rang false. Later, in the large cities, propagandists drawn from the ranks of self-educated workers began to appear and to exert a larger influence among their comrades. Agitation was carried on by various means. In some cases one trained man read the latest issue of a legal newspaper to his fellow workers, injecting his comments. At the same time he tried to pick out those among his listeners who showed promise. These he took in hand, and furnished with 'legal' books on current problems. If the worker showed interest, he was given clandestine literature. After a probationary period he became a member of the Party. (3) After the 2nd Congress of the Social Democratic Labour Party Leon Trotsky wrote about why the split took place. One can say of Lenin and Martov that, even before the split, even before the Congress, Lenin was "hard" and Martov "soft". And they both knew it. Lenin would glance at Martov, whom he estimated highly, with a critical and somewhat suspicious look, and Martov, feeling his glance, would look down and move his thin shoulders nervously. How did I come to be with the "softs" at the congress? Of the Iskra editors, my closest connections were with Martov, Zasulitch and Axelrod. Their influence over me was unquestionable. The split came unexpectedly for all the members of the congress. Lenin, the most active figure in the struggle, did not foresee it, nor had he ever desired it. Both sides were greatly upset by the course of events. After the Congress Lenin was sick for several weeks with a nervous illness. (4) Alexander Shotman attended the 2nd Congress of the Social Democratic Labour Party and after the debate joined the Bolsheviks. 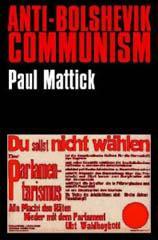 He explained his decision in his book, Reminiscences of an Old Bolshevik, published in 1932. 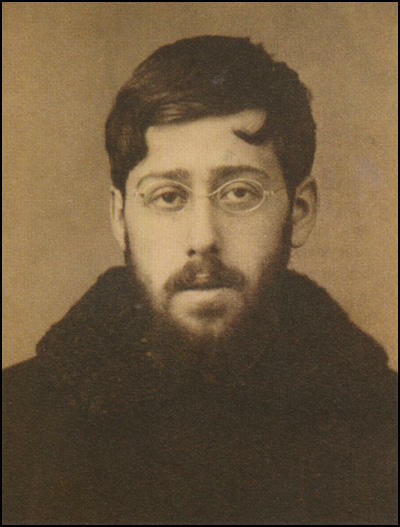 Martov resembled a poor Russian intellectual. His face was pale, he had sunken cheeks; his scant beard was untidy. His glasses barely remained on his nose. His suit hung on him as on a clothes hanger. Manuscripts and pamphlets protruded from all his pockets. He was stooped; one of his shoulders was higher than the other. He had a stutter. His outward appearance was far from attractive. But as soon as he began a fervent speech all these outer faults seemed to vanish, and what remained was his colossal knowledge, his sharp mind, and his fanatical devotion to the cause of the working class. When Plekhanov spoke, I enjoyed the beauty of his speech, the remarkable incisiveness of his words. But when Lenin arose in opposition, I was always on Lenin's side. Why? I cannot explain it to myself. But so it was, and not only with me, but with my comrades and workers. Lenin understood quite clearly that the success of his blueprint for tight party organization depended on the degree of discipline he could enforce from the start. He began, therefore, by pushing through a motion which set up a presidium consisting entirely of Iskra men, with Plekhanov as chairman and himself and Pavlovich-Krasikov as vice-chairmen. He won on this motion, despite the protests of Martov that the procedure was undemocratic. This was the opening skirmish in the Lenin-Martov battle which was soon to have far more serious repercussions. Later, Lenin admitted quite frankly that the purpose of his move had been to wield the 'iron fist' against all Social Democratic groups that resisted Iskra's control over the Party. Lenin lost to Martov, however, by a vote of twenty-three to twenty-eight on the wording of the rules defining Party membership. 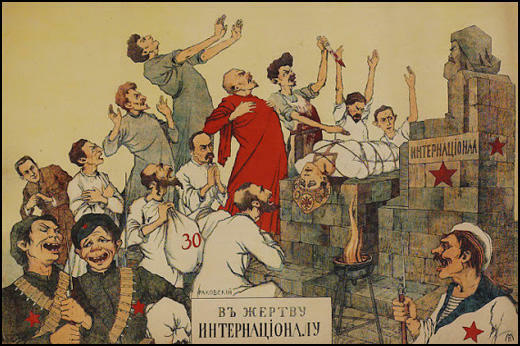 Lenin wanted to limit membership to those who not only subscribed to the party programme but participated actively in one of its organizations. Martov, on the other hand, was willing to admit all who accepted the programme and gave the Party 'regular personal cooperation under the guidance of one of its organizations'. To many delegates this difference seemed merely verbal. Actually the minor variation in language contained the fissionable element that was to smash the Social Democratic Party into its ultimately irreconcilable Bolshevik and Menshevik factions. Although Martov carried the Congress by a small margin on the paragraph defining Party membership, Lenin won on almost every other important issue. And he owed his victories largely to Plekhanov's support. The members of Lenin's 1903 majority became known as 'Bolsheviks' (after bolshinstvo, the Russian word for majority), Martov's group were dubbed 'Mensheviks' (after menshirestvo, meaning minority). The Congress voted for the dissolution of all independent Party organizations and their fusion into a single Party apparatus. After this vote the Bund and a number of other groups walked out. This left the Iskra group in complete command. But the elimination of the dissident factions brought no harmony. The fight between Martov and Lenin continued, with Plekhanov lining up on Lenin's side. Lenin won on his motion for cutting the Iskra editorial board to three - himself, Plekhanov and Martov. This meant the elimination of Axelrod, Potresov and Zasulich - all of whom were Martov supporters in the growing ideological war between Lenin and Martov. Lenin was confident that in this three-man board he could wield control. Plekhanov would not take an active part in the day-to-day politics of the paper and on the broad issues Lenin felt certain Plekhanov would support him against Martov. His confidence was reinforced by Plekhanov's fateful speech at the Congress on the subject of the 'dictatorship of the proletariat'. On Lenin's insistence Plekhanov had already written in the programme draft that the concept of proletarian dictatorship includes 'the suppression of all social movements which directly or indirectly threaten the interests of the proletariat'. A delegate named Akimov-Makhnovetz spoke against the dictatorship clause, pointing out that no such provision was to be found in the programme of a single European Socialist Party. Plekhanov replied by telling the delegates that `every democratic principle must be appraised not separately and abstractly, but in its relation to what may be regarded as the basic principle of democracy; namely, that salus populi lax suprenra est. Translated into a revolutionist's language, it means that the success of the revolution is the supreme law. (7) George Buchanan, My Mission to Russia and Other Diplomatic Memories (1922). As regarded the war, both Mensheviks and SRs advocated the speedy conclusion of peace without annexations or contributions. There was, however, a small Menshevik group, led by Plekhanov, that called on the working classes to cooperate for the purpose of securing the victory over Germany, which would alone guarantee Russia's new freedom. 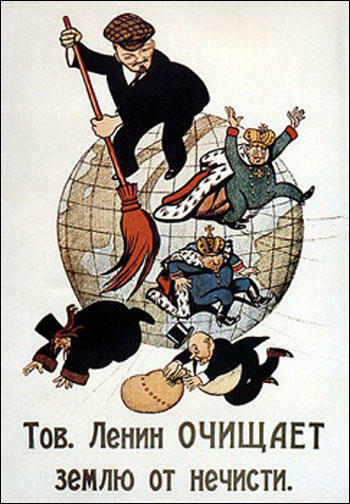 The Bolsheviks, on the other hand, were out and out 'Defeatists'. The war had to be brought to an end by any means and at any cost. The soldiers had to be induced by organized propaganda to turn their arms, not against their brothers in the enemy ranks, but against the reactionary bourgeois governments of their own and other countries. For a Bolshevik there was no such thing as country or patriotism. "These Bolsheviks," growled a man with a square head and a short heavy beard already half grey. "Bolsheviks, Bolsheviks - how they shout about being free men. What do they know about being free? They know nothing but books, they sit indoors and scribble and read and talk like clerks - and they are so busy making us free that they have no time to be free themselves! Let them come and find what freedom is! We'll show them!" (9) Morgan Philips Price, wrote a memorandum about the Bolsheviks on 28th October, 1917. The soldiers in the garrison towns in the rear follow the Bolsheviks to a man; and small wonder; for what interest have they to leave the towns and go to sit in trenches to fight about something that is of no interest to them, especially when they know that at the front they will get neither food to eat nor proper clothes against the winter cold? The workers in the factories are also strongly inclined to go with the Bolsheviks, because they know that only the end of the war will give them the food, for the lack of which they are half-starving. (10) George Buchanan, report to the Foreign Office sent during the summer of 1917. The Bolsheviks, who form a compact minority, have alone a definite political programme. They are more active and better organized than any other group, and until they and the ideas which they represent are finally squashed, the country will remain a prey to anarchy and disorder. If the Government are not strong enough to put down the Bolsheviks by force, at the risk of breaking altogether with the soviet, the only alternative will be a Bolshevik Government. 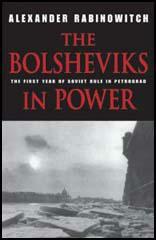 Of constructive power the Bolsheviks have none, but they have enormous power for destruction. They can make a wilderness and call it peace. They can finally demoralize the army and reduce it to a rabble of hungry, looting bands, who will stream across the country, block the railways, reduce the civil population to starvation and the extreme of terror, and will fight like wolves over their prey. That they can do in the name of peace. Suppressing and silencing opponents may succeed for the moment, as it did in the Czar's time, but Nemesis is always at hand. Socialism imposed by a minority-Socialism apart from true democracy, is not only meaningless, but valueless.